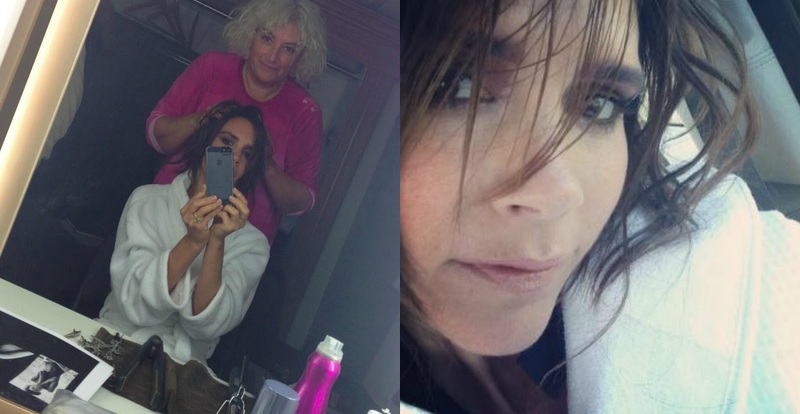 Victoria Beckham has been sporting long flowing brunette waves for a while now. Casual against her sharper tailored styling, it suited her face shape and although she clearly used extensions it was a low maintenance look compared to her hairstyles of the past. When Victoria posted a series of pictures on her Twitter account being styled for a shoot, fans and the hair world went into overdrive. Gone were the extensions, replaced with what looked like a textured style that sat at jaw length. I have to say I loved Victoria's hair shorter, and think her best style ever was the choppy, layered bob. So if it's a return to short hair, I am definitely a fan. Tousled, textured and perfect for her faceshape. I LOVED her hair in that wavy bob, too - she looks stunning! Glad you agree. :) Just think it suited her and her hair type perfectly. I love the long wavy hairstyle idea. It is the ideal hairstyle for tall women.